This Guggenheim Museum Exhibit drew my attention right away. This is only a portion of a huge layout that occupied several long tables. In other words, it was impossible to overlook. I thought, not again, some post-modern ‘artist’ who thinks that glueing a banana peel to a roll of a toilet paper with a gum makes it a social statement. I couldn’t be more wrong. 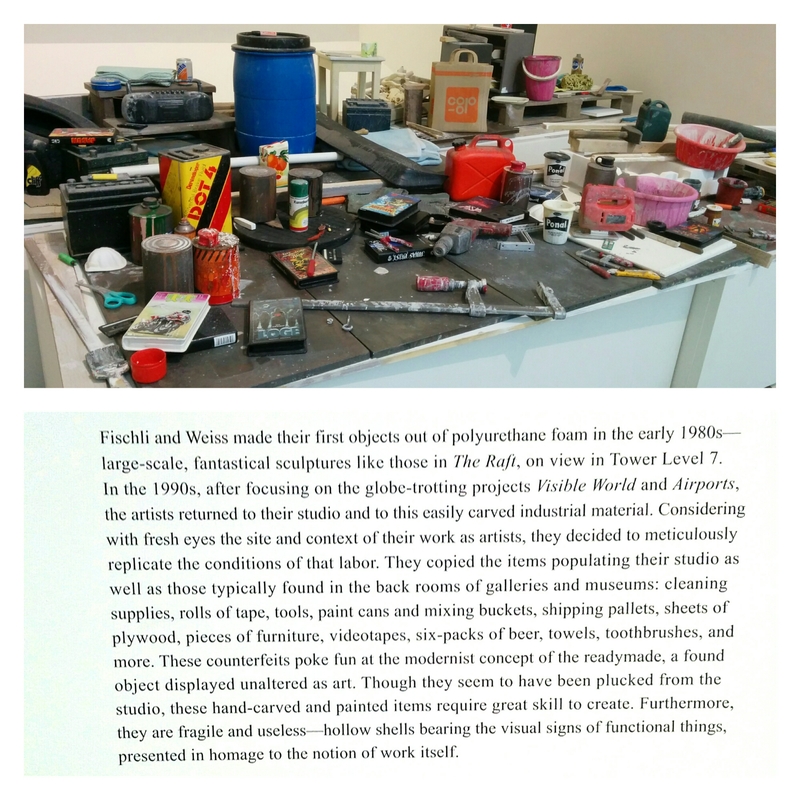 Fischli and Weiss, evidently, are also fed up with this trend in art. That is why they made every bit of this junk display from a special type of plastic and hand-painted every label. This display took years to make. And all is in the name of a good chuckle over the lazy frauds who call themselves artists these days. When I noticed that all the elements are handmade, I was in awe. If you think, that was not impressive enough, watch this film by the same artists. It was shown in the museum, but I found it online. Watch it and tell me what you think.